If you’re new to RV camping and aren’t sure it can fit into your active, adventure-seeking lifestyle, you’re in for a surprise. Coming back to RV comfort after a long day spent climbing, canyoneering, trail running or whatever it is you do to get the adrenaline pumping makes adventure vacations even more enjoyable. Here’s an idea for your maiden RV camping voyage—why not take a trip to Colorado’s Great Sand Dunes National Park? It’s an amazing place filled with plenty of outdoor recreation possibilities. Imagine the tallest sand dunes in North America (some as tall as 700’), surrounded by snow-capped mountains, alpine forests and mountain lakes, and you’ve got an idea why adventure seekers flock to Colorado’s Great Sand Dunes. The park is located two hours southwest of Pueblo, CO. Get there by following I-25 south and then I-60 west. You’ll turn north on CO-150 to access the park’s visitor center and interior roads. From the west, follow I-60 from Durango to the national park. You might just be surprised at the range of outdoor sports visitors to Great Sand Dunes National Park enjoy. Here’s a quick list of five to whet your appetite. Sand Boarding and Sand Sledding are favorites of park visitors, using specially built boards and sleds that safely slide the dunes. Area outfitters rent the equipment so you don’t need to lay out cash to buy your own. Fat Biking on Medano Pass is another way to find adventure while at the Dunes. Mountain bikes are pretty tightly restricted within the national park and fat tire bikes made for riding in sand are restricted to Medano Pass Primitive Road (sorry, no dune riding), but there’s plenty to experience along the route. Hint: keep your eyes open for wildlife! Hike the Dunes: With thirty square miles of dunes to hike, you can discover some totally spectacular views! Test your ‘sand legs’ by setting out for the summit on any dune you’d like. This is the original ‘find your own trail’ adventure venue. Hike Mt Herard: Adventure seekers with mountain hiking experience will want to make the climb up this 13er. You’ll have to make the trip by high-clearance 4WD vehicle (no ATVs) to Medano Pass to reach the trailhead to the summit. Once you’ve made the summit, the view of the dunes, lakes and tundra surrounding Mt Herard is unforgettable. The Dunes After Dark are a whole new world waiting for your nocturnal exploration. Plan a hiking party by the light of a full moon and enjoy a midnight picnic at the summit of a dune (don’t forget to pack out your trash!) The darkness at this national park is so intense, the stars will pop out in ways city dwellers may never have experienced. Once you reach Great Sand Dunes National Park, you’ll want to set up camp quickly so that you can get out on the dunes, mountain trail or in the middle of Medano Creek. There’s a campground that can accommodate RVs right inside the park entrance, so if that’s where you’d like to stay, jump on the NPS website and book a campsite before you come. There’s also plenty of camping at private campgrounds within forty miles of the national park, and also at San Luis State Park just down the road. No matter which campground you pick, you’ll be close to the action and in some of the most scenic country you can imagine, right in the shadow of the Sangre de Cristo Range. If you haven’t taken the plunge to purchase an RV, you’re still in luck. 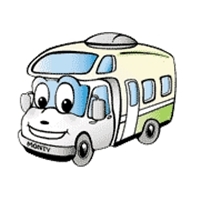 You can pick up a Denver RV Rental and enjoy RV camping comfort for less than you think. It’s going to be a great trip, so start packing your adventure gear and be sure to share your experiences in the Comments section below. Colorado’s Great Sand Dunes National Park—it’s got to be seen to be believed. This entry was posted in Colorado RV Camping Vacation, National Parks. Bookmark the permalink.